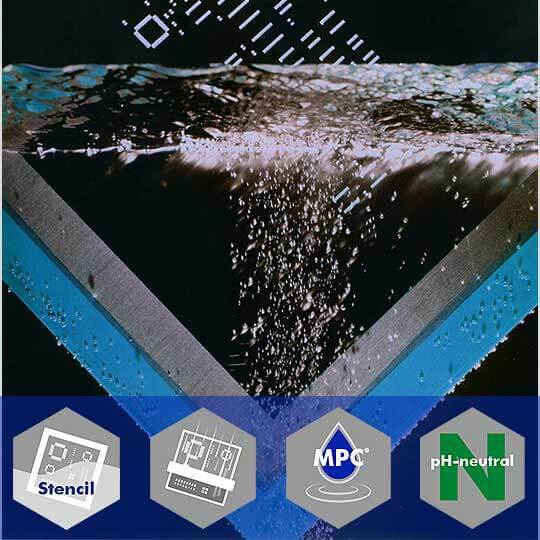 VIGON® SC is a water-based cleaning medium designed for cleaning SMT stencils in spray-in-air equipment. Based on the MPC® Technology, VIGON® SC reliably removes solder pastes and SMT adhesives in a single process. Furthermore, the cleaner can be used for misprinted PCBs. Depending on the flux type, this also applies to double-sided, populated circuit boards. VIGON® SC can also be used for stencil underside wiping in SMT printers.